Wishes for the next Pokitto version? Now that many of you have got your wonderful gadget, you might have ideas how to develop Pokitto further. So, what would you like the next Pokitto to be? I would like it to be a bit thinner and even cheaper. The latter is because that way it would sell more, and get a bigger user base. First, ditch the headphone jack, no one uses headphones with coords anymore. We have expensive bluetooth headsets ok?! Additionally we can save money on the components. We say, we didn’t have any room for the headphonejack, because we added a larger battery and people will eat it. Second, we need more sensors. For instance a front facing camera and maybe some other biometric stuff. Imagine you can unlock your pokitto by looking at it. To place it nicely i suggest du put the over the screen. We may loose some pixels but no one will complain because it’s cool. Third, we put in a smaller battery and say that the battery life is shorter because of the more demanding hardware. No mention about a fingerprint sensor? How am I gonna spontaneously insert myself into Police databases without one in a seemingly innocuous toy? A sensor set tailor made for pokitto would be nice, but that would also apply for the current gen Pokitto. 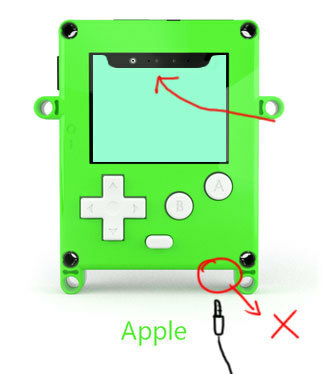 For the arcade feel having micro switches as buttons, or the option to place them myself. Btw @Rakkachi, I noticed your Pokitto was in the batch that went out on friday. So with any luck you’re joining the HW Pokitto bunch very soon. Edit: oops. This was an unintentional thread-jack. Sorry. I will stop here. Whaaat, i thought i’ve invented it… Damn too late. I know, how about the ability to make phone calls and send texts? And maybe get rid of the buttons and make it all one big touchscreen? And I think hats would be a better next step than trying to change the Pokitto itself. I think the Pokitto unit iself is pretty well balanced in terms of spec. When the next version eventually does come, I’d rather have more low tech advancements like the on switch being the other way around (up is on, down is off), the back buttons being labelled somehow, the hardware debugging rectangle at the back having a proper open+close mechanism instead of having to be cut out and some way of making the buttons a bit less wobbly. Instead of advancing the current platform as it is (the core unit) I’d personally like to see more HAT options or modular extensions. Since, that’s what excites me about the system as it is. Just curious, does the original Pokitto have Wifi capability? I wouldn’t mind having a mobile browser or user created apps, although I don’t know if the Pokitto was designed for that? I got a Tingbot, which is developed like that, but the community there is dead. Not yet, but we’ll hopefully get something soon/eventually.